Nestled on the highland terrace 7 km south of Innsbruck the municipality of Götzens offers skiing in the most picturesque of locations. Founded in 1869, the historic region composed of Götzens, Neu-Götzens, Einodhofe and Götznerberg, offers all the charm of a traditional rural Austrian village with access to larger surrounding mountain regions. Just a short drive from the nearby city and airport, accommodation in Götzens offers immediate access to the slopes of Götzens. 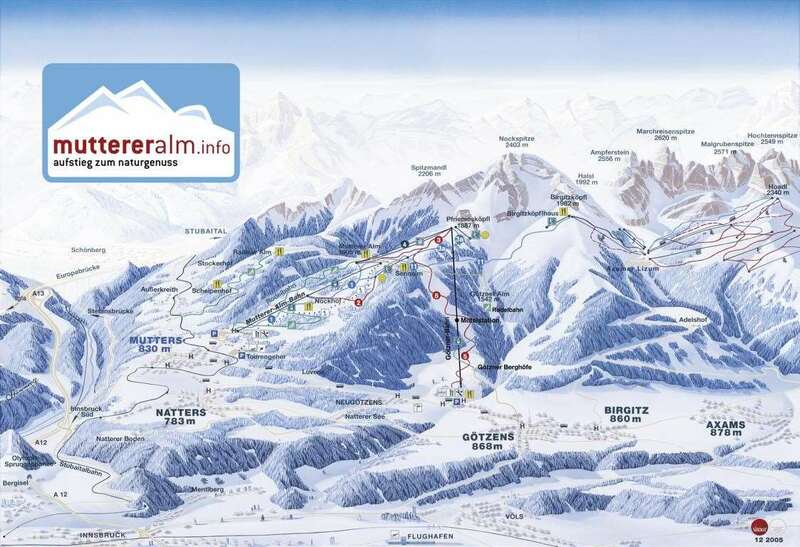 The main 8 seater gondola, Götzener Bahn takes you from the centre of town, with ski schools, rental shops, magic carpets and a restaurant, up to a lower terminal at 1200 m before whisking you up Pfriemskopfl mountain to 1800 m and the neighbouring Muttereralm skiing area. For more extensive skiing options, Götzens is connected to a further 9 ski areas via a free shuttle bus, including nearby Axamer Lizum, a previous venue for the Winter Olympics. 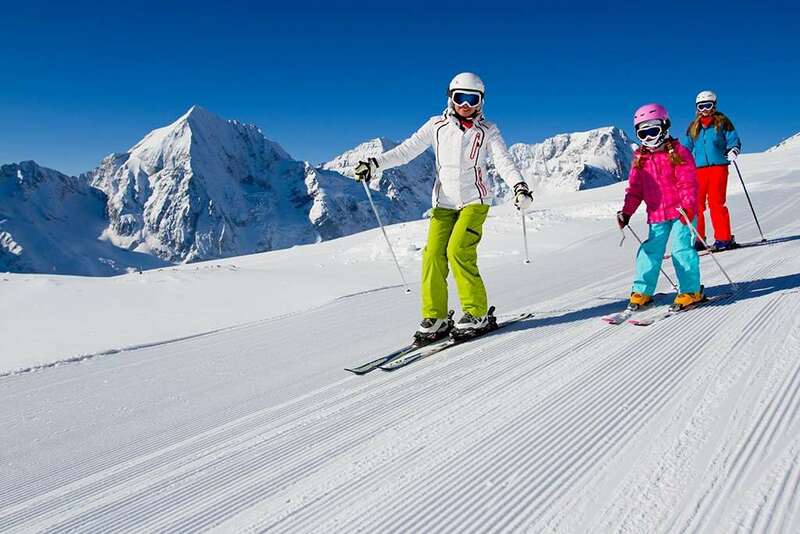 Snow cannons on the lower slopes ensure perfect skiing conditions across the gentle slopes making it ideal for family ski holidays. Activities off the slopes in Götzens and Mutteralm ski areas include an indoor ice skating rink, horse-drawn carriage rides, curling, and tobogganing. A stroll through the village of Götzens is also a must with its ancient decorated farms so precious they are under monumental protection and impressive historic churches, Theresia Chapel and St Peter & Paul Church, which feature impressive decoration and stucco works. Praised for its acoustics there are also often concerts held in the church. The resort is also close to the vibrant city of Innsbruck which is known for lively apres-ski and also brilliant skiing conditions.